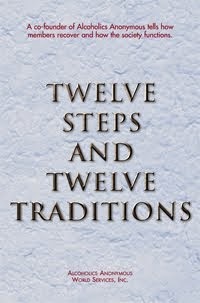 There are few “absolutes” in The Program’s Twelve Steps. We’re free to start at any point we can, or will. 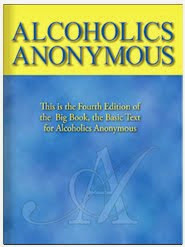 God, as we understand Him, may be defined as simply a “Power greater”; for many of us in The Program, the group itself was the first “Power greater.” And this acknowledgment is relatively easy to make if a newcomer knows that most of the members are sober and otherwise chemically-free and he isn’t. This admission is the beginning of humility. Perhaps for the first time, the newcomer is at least willing to disclaim that he himself — or sh3e herself — is God. Is my behavior more convincing to newcomers than my words? May I define and discover my own Higher Power. As that definition becomes clearer and closer to me, may I remember not to insist that my interpretation is right. For each much find his or her own Higher Power. If a newcomer is feeling godless and alone, the power of the group may be enough for now. May I never discredit the power of the group. Group power can be a Higher Power.